Miresco is a global leader of asset conversION and value creation in the home furnishings industry. Miresco provides products and services to retailers and wholesalers of home-related products.We offer liquidation services, turnarounds, augment inventory, and management services for special events sales for home-related stores and department stores. We create solutions for distressed businesses and inventories. 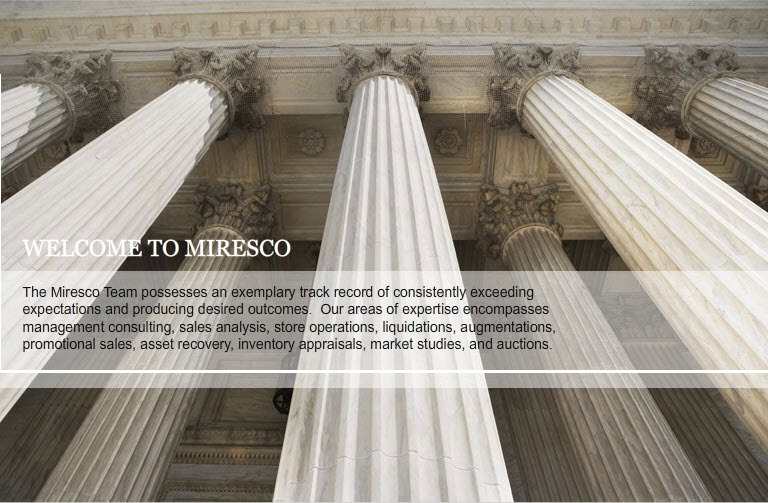 Miresco also designs strategic solutions for distressed retail real estate tenants and landlords.